Fraunhofer FOKUS business unit FAME attends the exposition “Virtual Reality: The Interactive Science Hub” at Avant Première on February 13, 2017, in Berlin. Stephan Steglich of business unit Future Applications and Media (FAME) will present “Technical challenges for the delivery of 360° Videos” and demonstrate the Fraunhofer FOKUS Cloud-based 360° Video Playout for HbbTV. 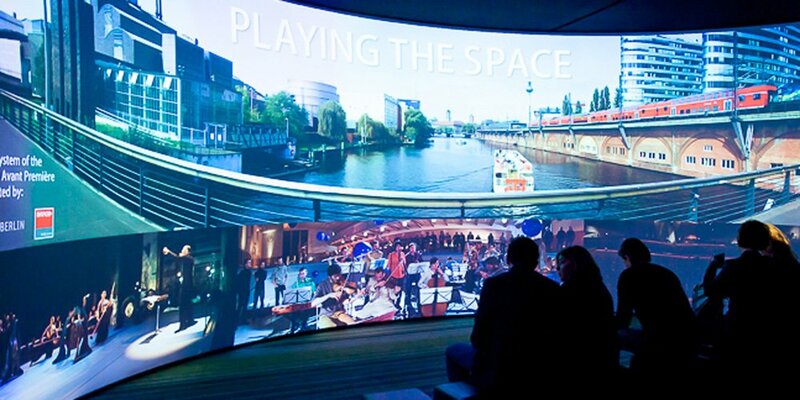 The Fraunhofer FOKUS Cloud-based 360° Video Playout for HbbTV supports a “Field of View” Adaptive Streaming approach, which enables the experience of 360° videos on any video playback device. In this approach, the 360° video content is rendered in the cloud and only the selected view is streamed to the receiver. Hence, the required bandwidth is reduced compared to the streaming of a full 360° video. This allows high quality 360° video experience on any device.